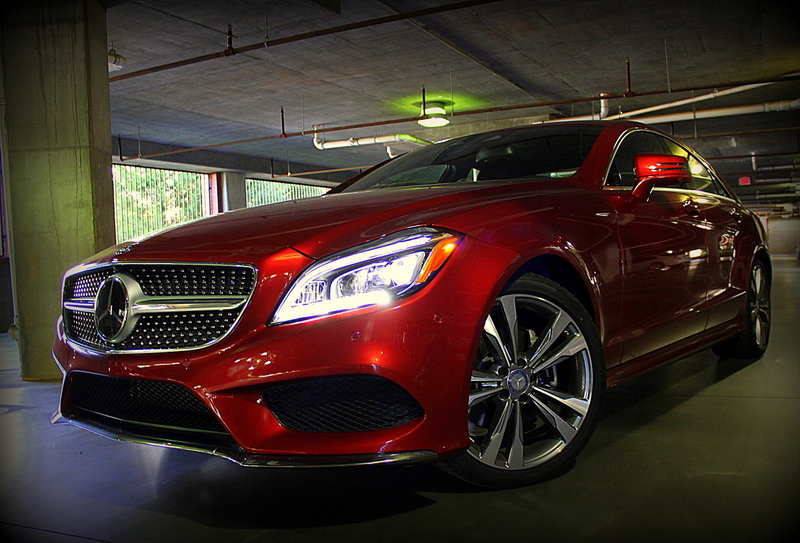 Straight to the point, the all-new 2015 Mercedes-Benz CLS400 is a gorgeous piece of art. 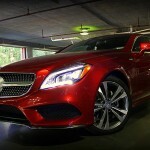 Set off with the automaker’s signature designo® Cardinal Red, this coupe’s Diamond Radiator Grille, 19-inch twin five-spoke wheels, power folding mirrors, Multi-beam LED headlamps with active curve illumination (they automatically adjust at turns), and sleek body frame further solidify its refined classification as luxurious. Interior décor flaunts plush black semi-aniline leather (to help maintain the hide’s natural sheen), “Black Ash” wood trim, and dash showcasing the Navigation, and what we really appreciated—the surround view camera system. And actually driving it? 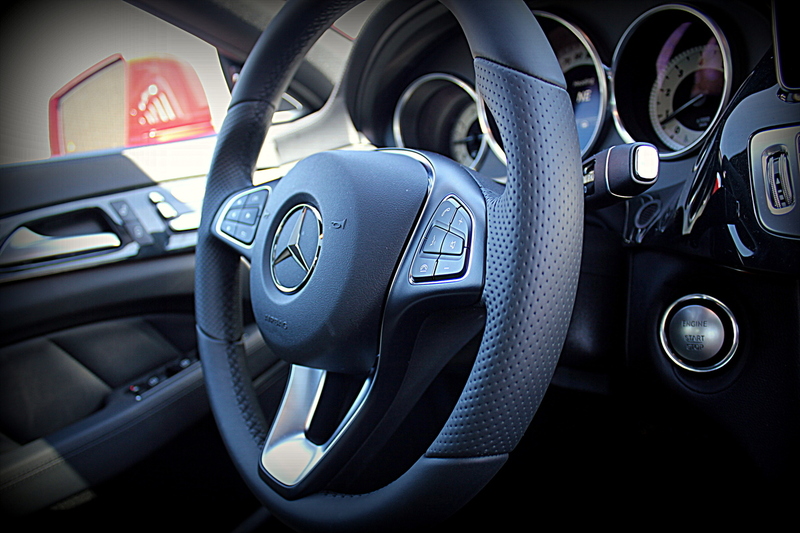 Due to the 3.0 liter V-6 Biturbo engine roaring with 329 horsepower and 7-speed automatic transmission complemented by shift paddles; active parking assist; Distrotronic Plus with steering assist; and active multicontour driver’s seat which actually embraces you during cornering, even a quick errand to the market will be a pleasure. 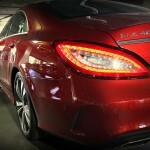 Oddly—in a good way—with all its power, the CLS400’s combined 24 miles to the gallon becomes even more pocket friendly with the ECO Start/Stop option which temporarily shuts the car off during extended idling to conserve fuel. Starting at a modest $65,990 with Bluetooth and numerous safety features included (adaptive brake technology), the optional Harman Kardon sound system with Dolby 5.1 ($1,610); Premium Package ($6,900); Parking Assist Package ($1,290); and Driver Assistance Package ($2,800) are highly recommended to deliver the most optimal driving experience. This reviewed model totaled $84,140. 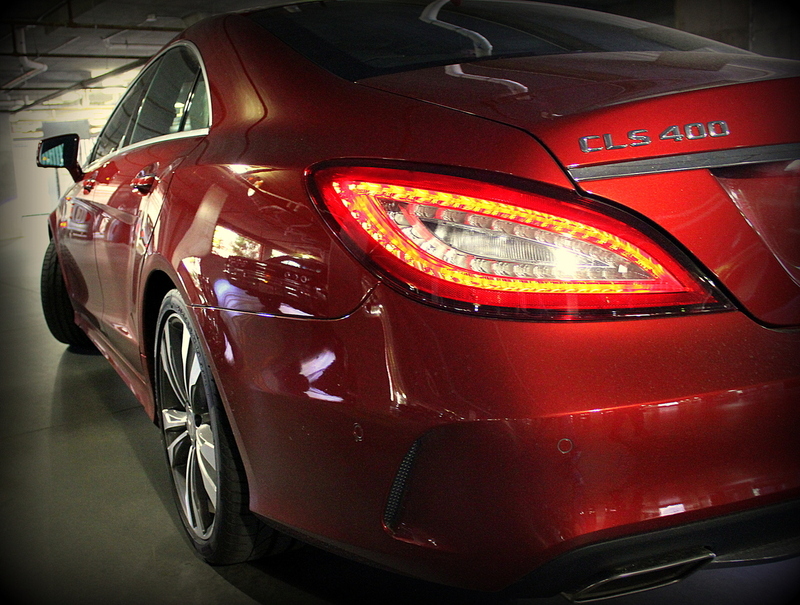 Ultimately, whether standard or enhanced to the max, the 2015 CLS400 effortlessly reaches the standards of any driver who demands only the finest craftsmanship to enhance their driving experience.